A touch of French culture has been taken ‘down under’ to celebrate 50 years of Sofitel luxury hotels. 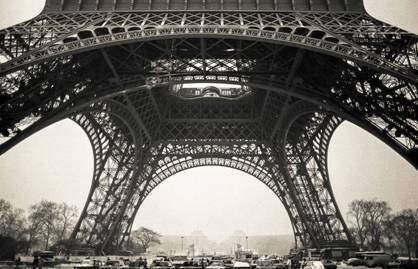 For the next six months, a special photographic exhibition entitled ‘ Iconic Paris. Photographs by Jon Rendell’, will be staged at four Sofitel luxury hotels along Australia’s east coast. The free exhibition is a particularly apt way of marking the Sofitel story; a half-century of French elegance, from an initial hotel at Strasbourg to 120 superb luxury addresses in 40 countries across the world. ‘Iconic Paris. Photographs by Jon Rendell’ was launched this month at the Sofitel Brisbane Central, where it will remain until August 24. Then, it will travel to the Sofitel Sydney Wentworth, where the exhibition will run from September 1 to October 5. The photographs will then be displayed at Sofitel Gold Coast Broadbeach from October 8 to November 9 – followed by an exhibition at Sofitel Melbourne on Collins between December 9 and January 30. Sofitel commissioned Donald Williams of Global Arts Projects to curate the photographic exhibition. The hotel brand says an aim of the event is to pay homage to it’s elegant French origins and art-de-vivre, by presenting “compelling and evocative images of Paris”. 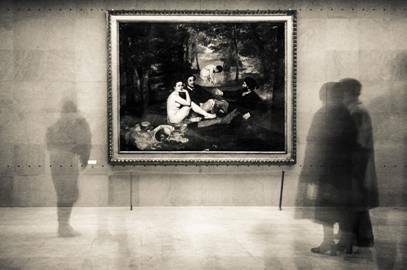 It says most of the photographs were taken by the San Francisco-based and Melbourne-born Rendell in January of 1978 and then 10 years later in January 1987, just after the opening of the Musee d’Orsay. The subjects, Sofitel says, are the “familiar iconic images of Paris that we have all grown to admire”. That said, Sofitel Luxury Hotels is certainly also marking its golden anniversary by looking to the future, with more than 30 hotel openings planned around the world through the second half of 2014 and 2015. Follow Sofitel’s 50th anniversary online. The images shown here were provided by Sofitel Luxury Hotels. 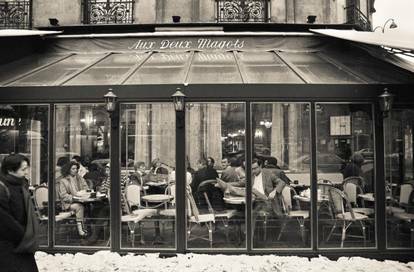 Captions: Images by Jon Rendell – Eiffel Tower Paris, January 1987; Cafe Les Deux Magots, January 1987; Le dejeuner sur I’herbe, Musee d’Orsay, Paris January 1978. Photographs by Jon Rendell – Sofitel 50th anniversary.